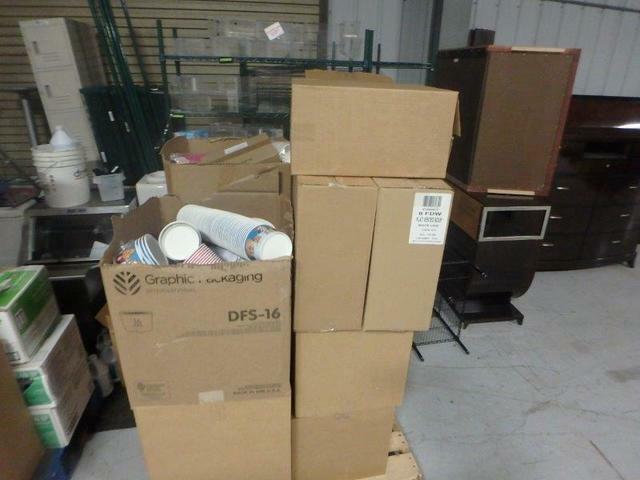 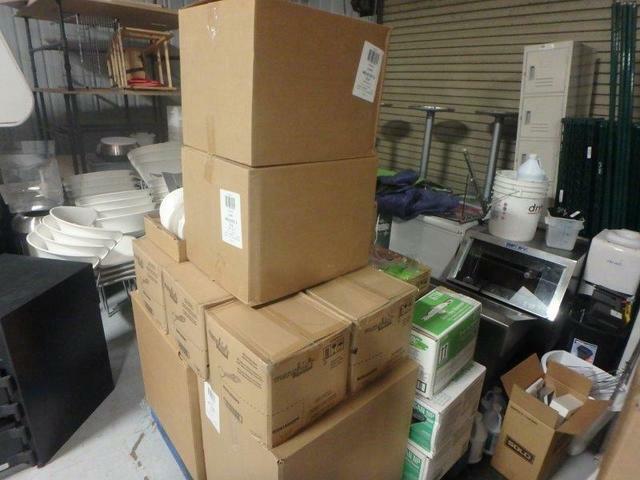 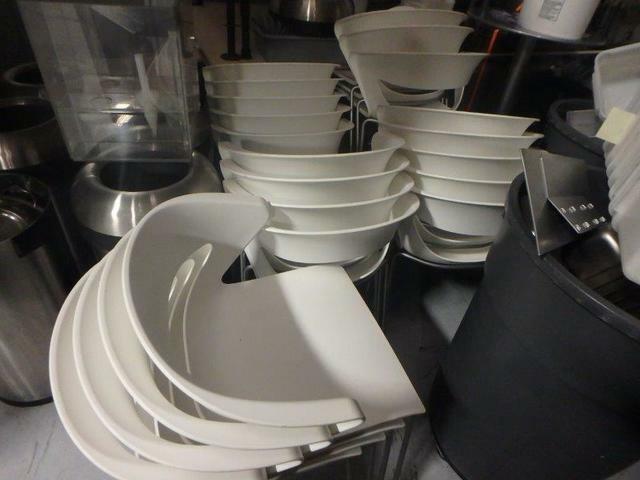 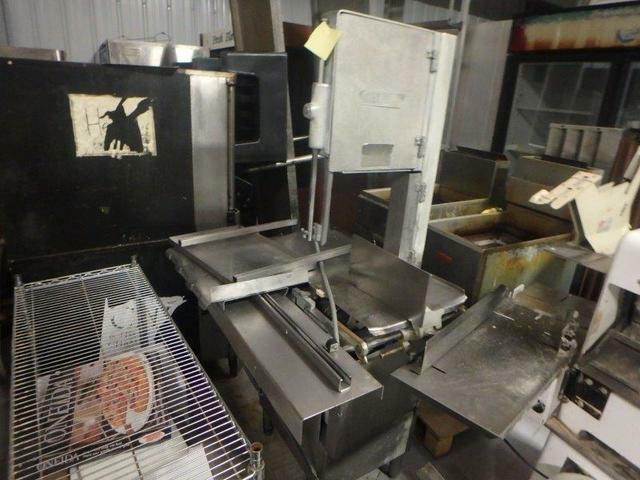 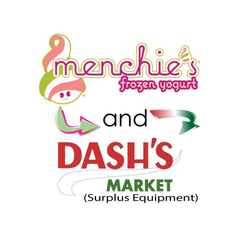 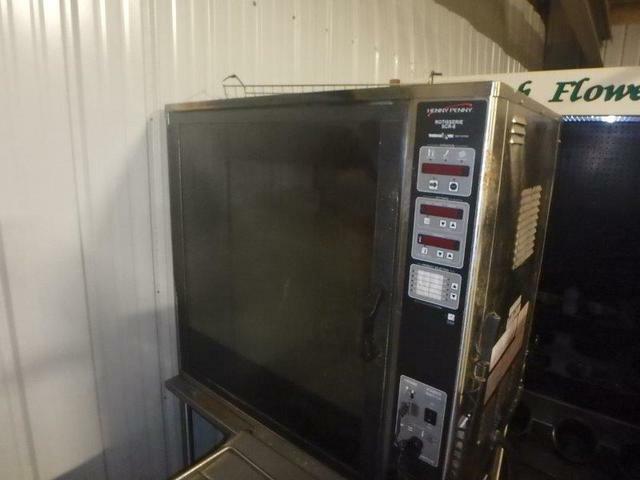 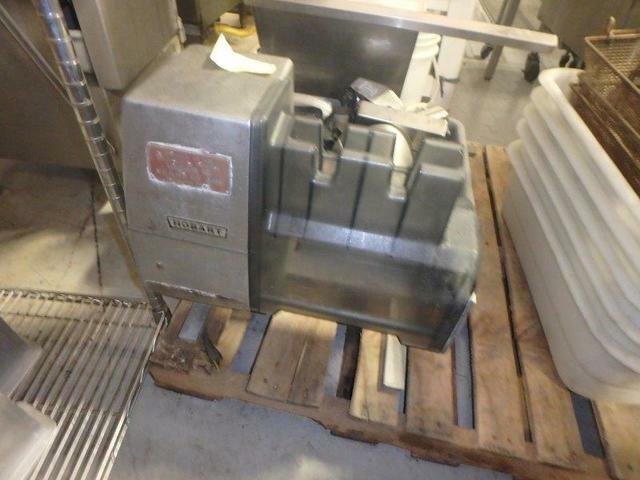 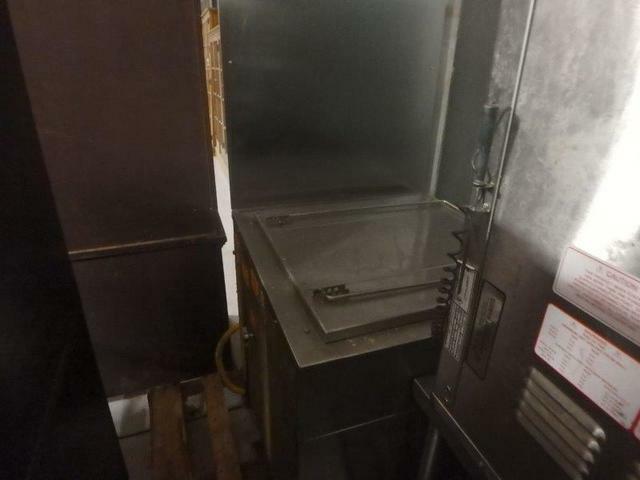 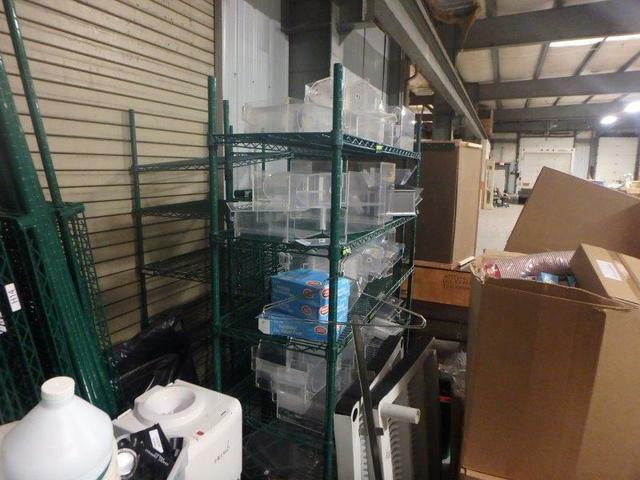 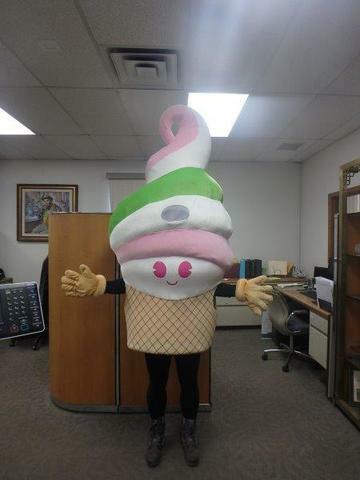 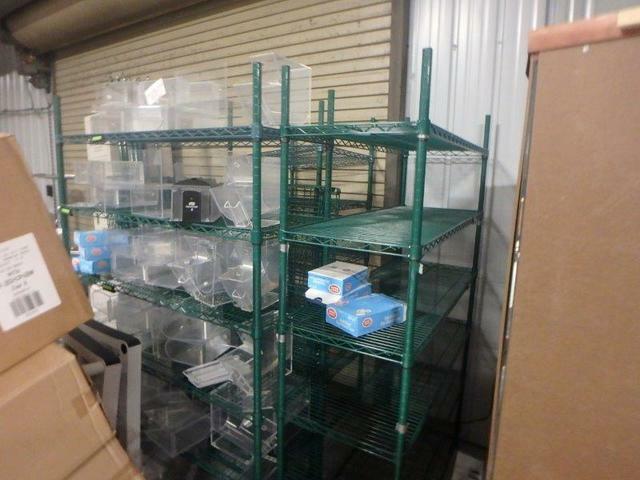 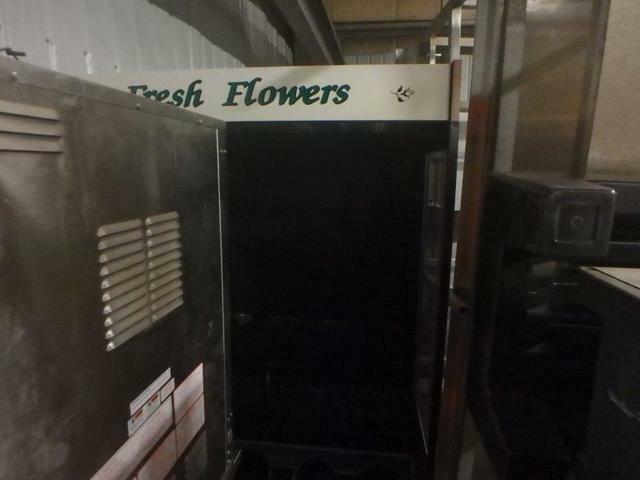 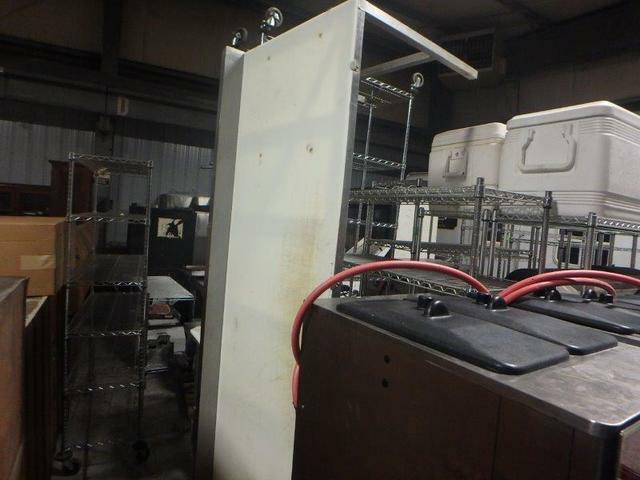 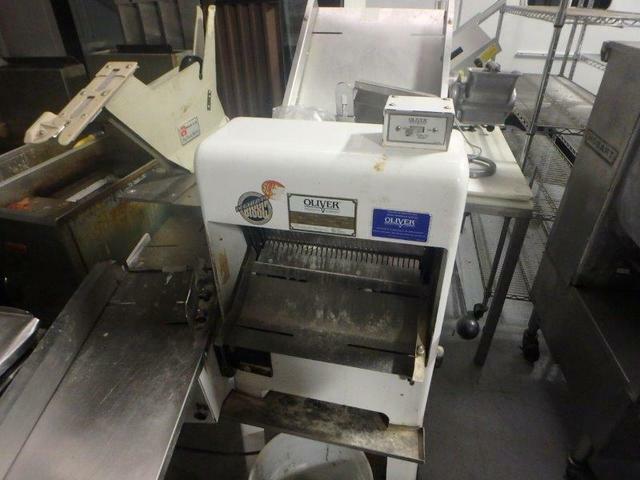 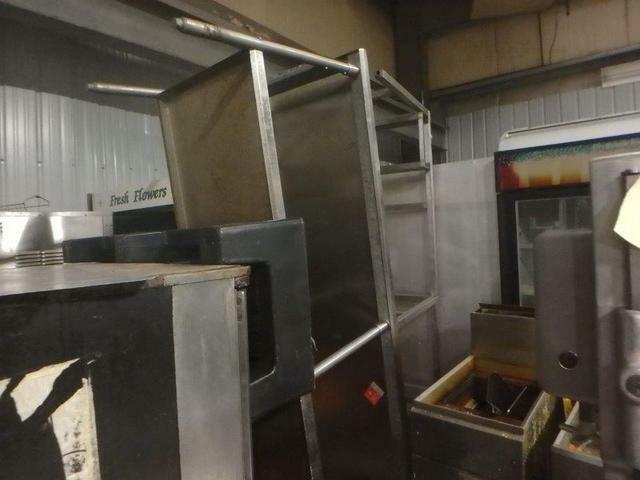 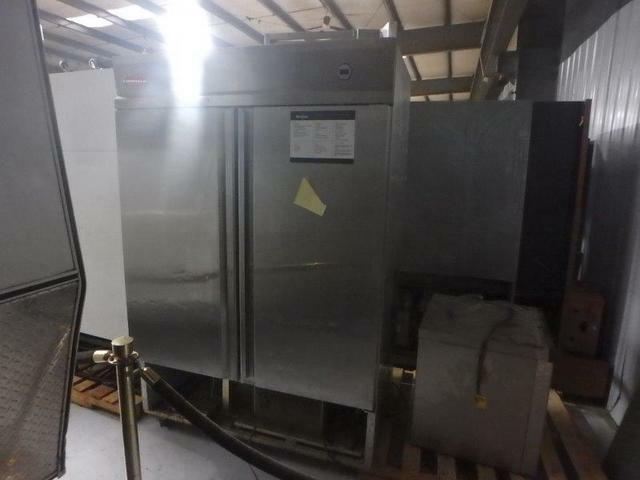 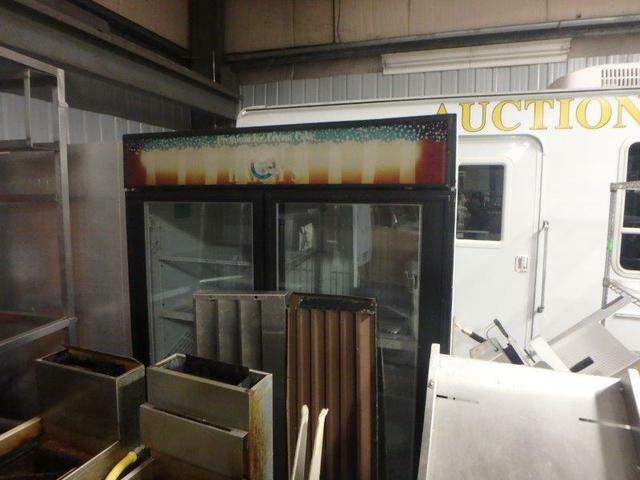 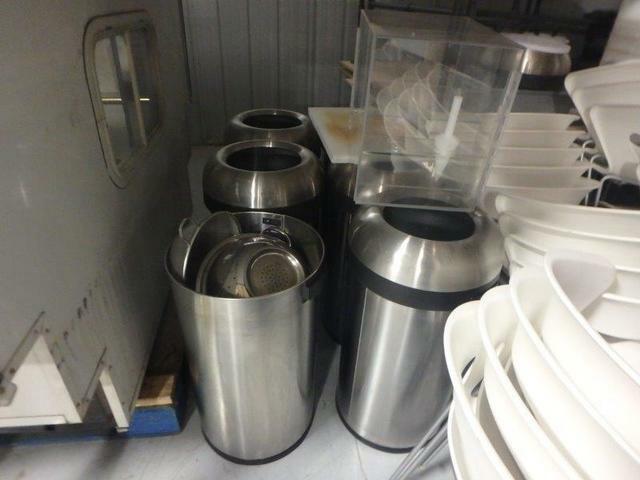 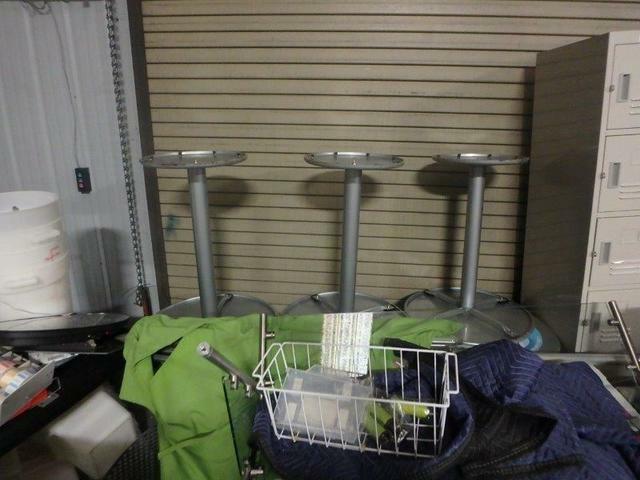 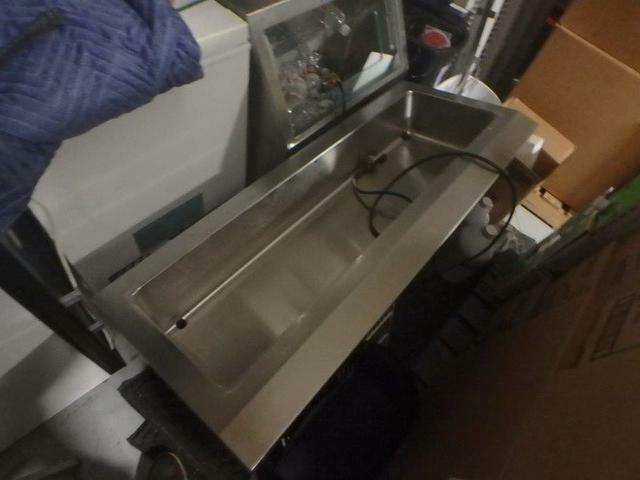 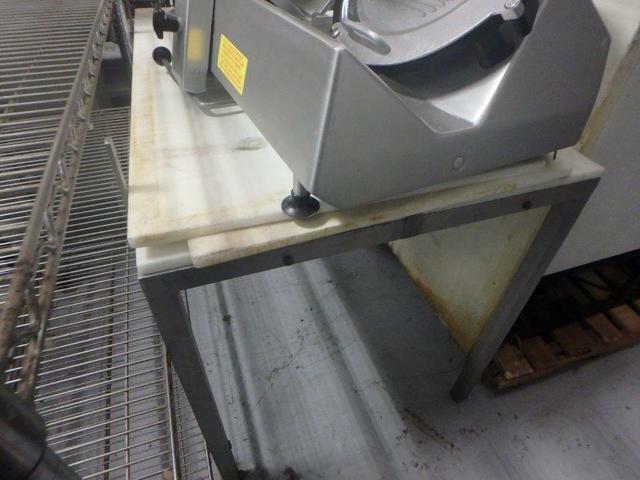 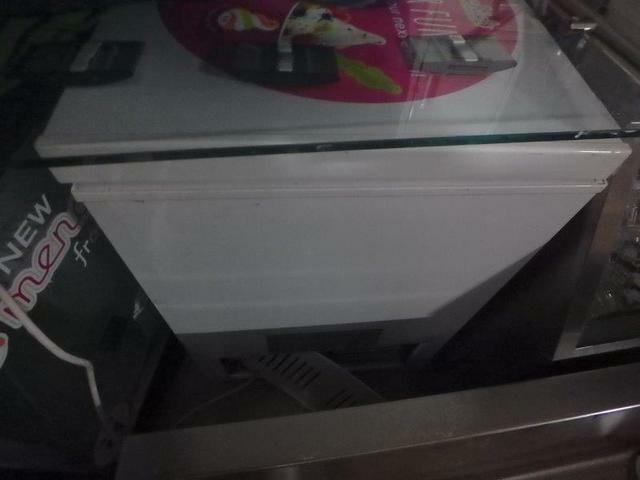 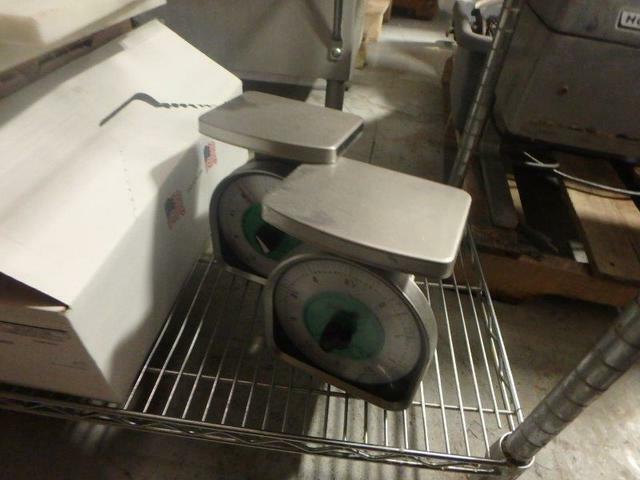 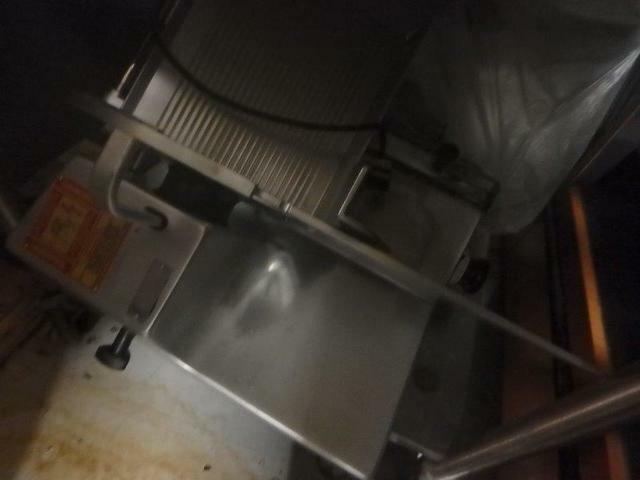 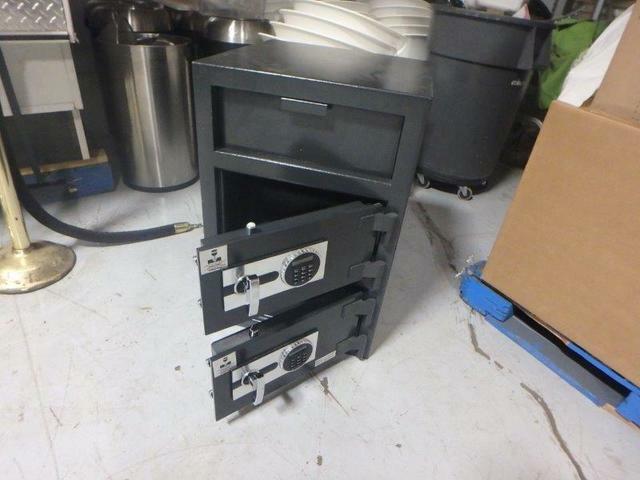 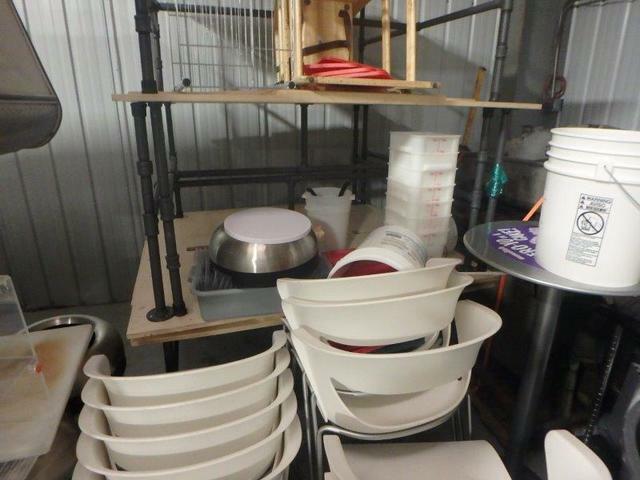 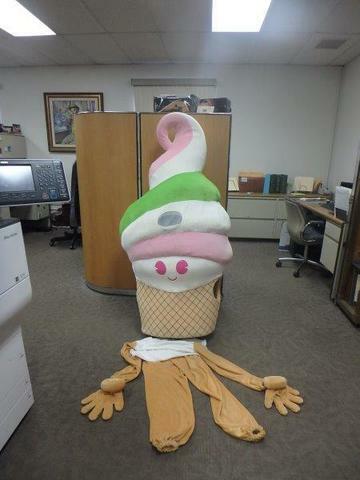 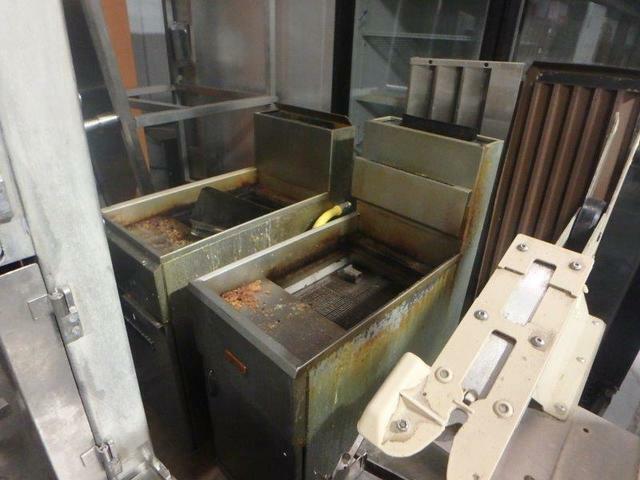 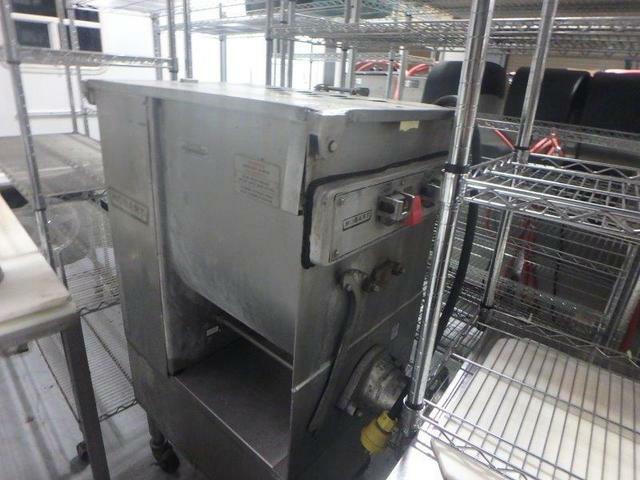 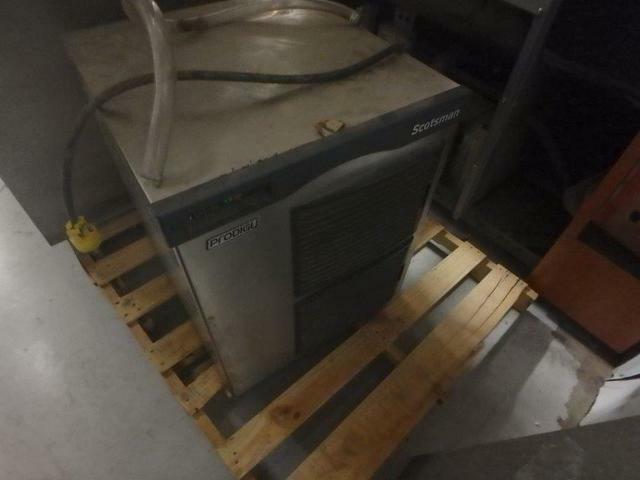 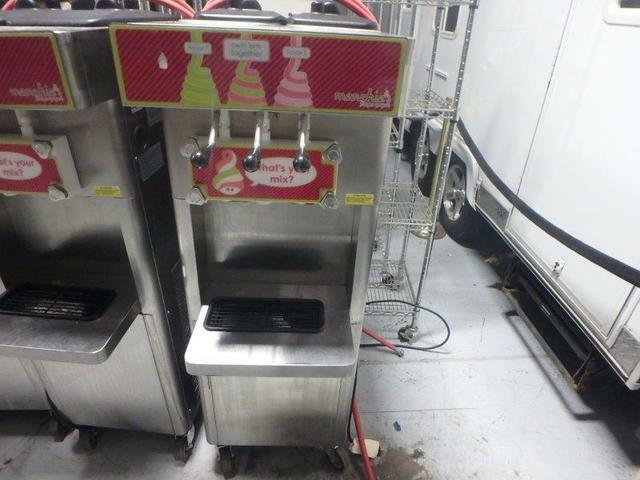 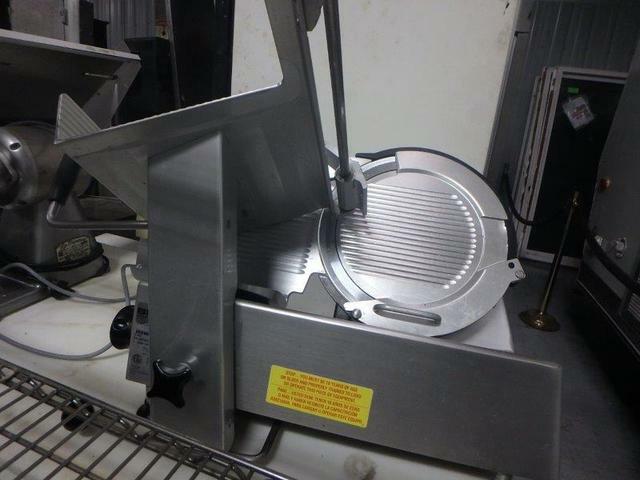 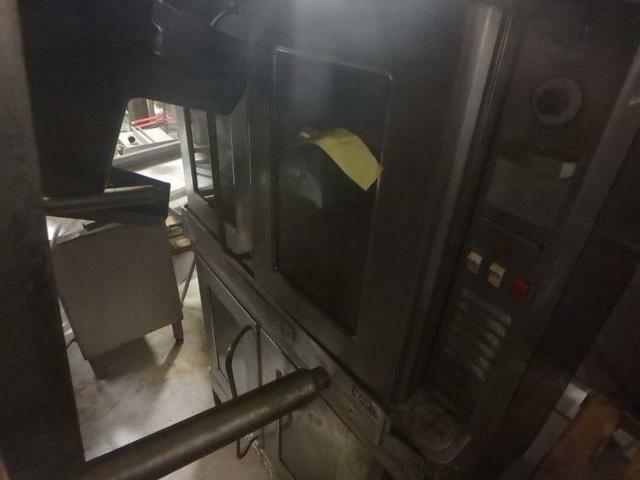 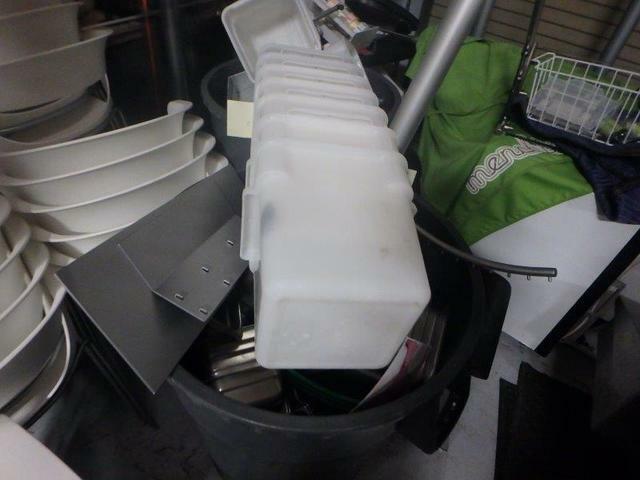 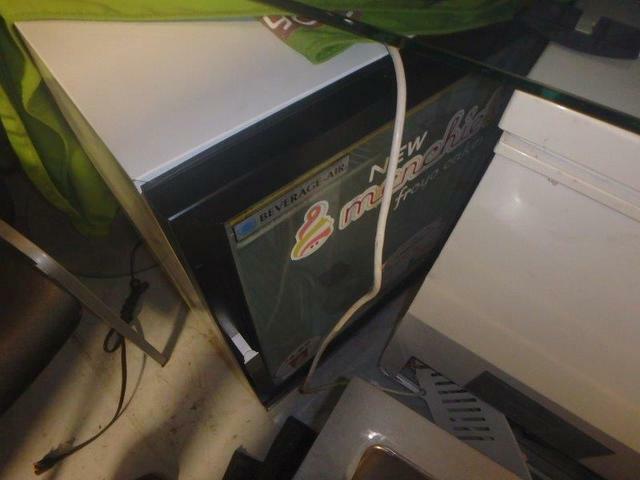 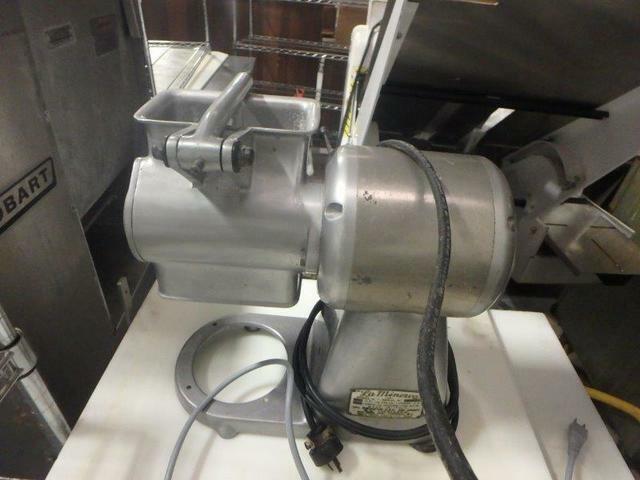 Home › Auction › Surplus Restaurant & Frozen Yogurt Equipment! 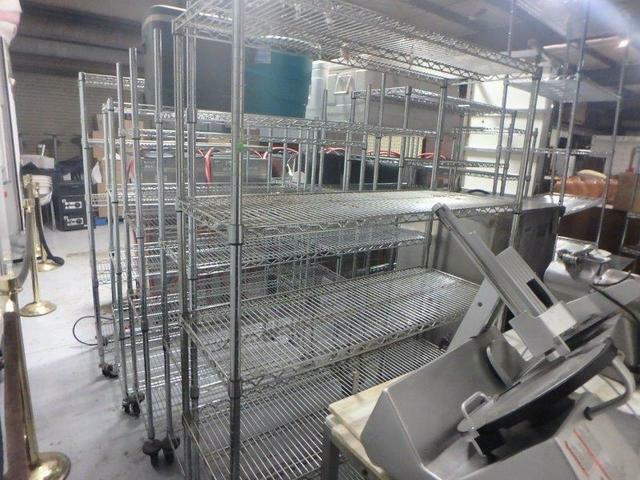 Surplus Restaurant & Frozen Yogurt Equipment! 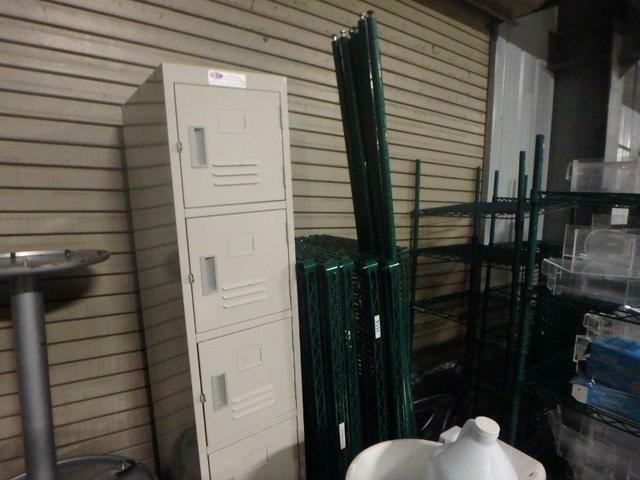 For A Catalog, Click Here. 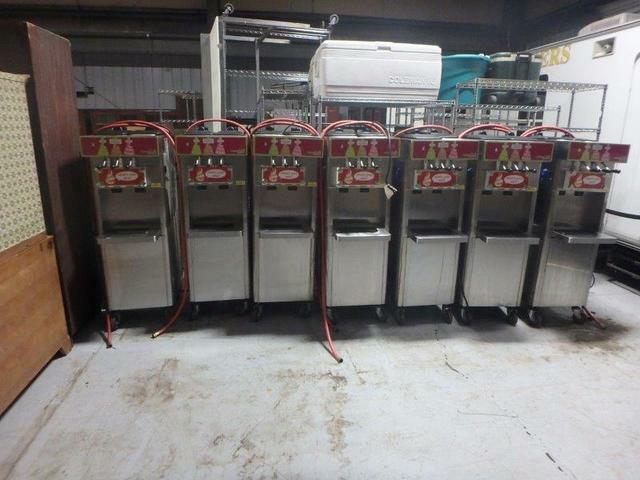 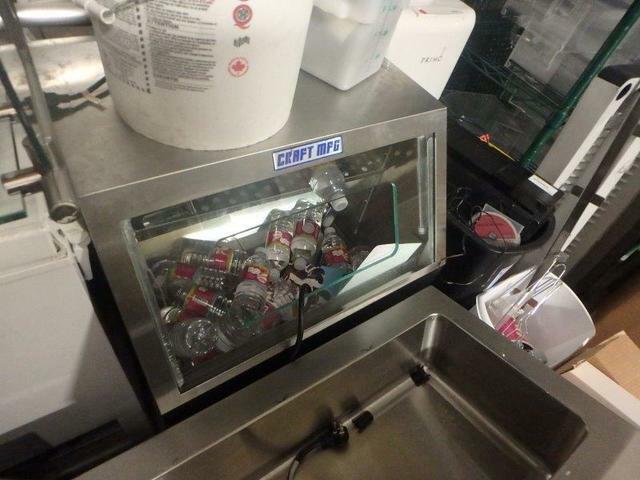 7- Stoelting F231 Frozen Yogurt/Soft Serve Ice Cream Machines, Digital Drop Safe, 6- Simple Human Garbage Cans, Countertop Drop-in Cold Unit, Beverage-Air Cube Glass Front Freezer, Craft MFG Open Front Beverage Cooler, 6- Sections of Coated Wire Rack, 12- Wire Racks on Wheels, Hobart Industrial Chopper, 2- Bizerba Slicers, Scotsman Ice Head, Cono Tech 2 Door Stainless Steel Refrigerator, Oliver 797-32 Bread Cutter, 2 Fryers, Hobart Meat saw, Hobart Tenderizer / Cuber, Henny Penny Rotisserie SCR-8 Chicken Cooker, Blodgett Double Convection Oven, 18- Plastic Chairs, 3- Plastic Bar Stools, 7- Tables, Stainless Steel Inserts, Ingredient Bins and Utensils, Single Set Lockers, Water Cooler, 2-Pallets of Paper Products, Small Chest Freezer, Open Sign, Outdoor Umbrella, Wood High Chairs, Frozen Yogurt Merchandising Costume, 4′ Boning Table, Stainless Steel Work Table, 2 Door Glass Front Freezer, 2- Large Poly Top Boning Tables, 2-Portion Control Scales, Open Front Floral Cooler, Benshaw Bakery Fryer Ice dipping tables, mixing tables gelato case, ice cream pans (like new), Electric convection ovens, electric pizza ovens, holding cabinets, Stainless steel tables and equipment bases, Ice machine with bin, Tons of stainless steel smalls, Cambro pans, coffee cups etc, Coffee and tea equipment, Hussmann 2 door glass freezer, true 1 and 2 door glass coolers, Ice cream waffle makers, plus lots of items from ice cream shop, Keating 36″ gas griddle, Grease trap, All kinds of racks, Stainless steel shelves, Soda dispensing unit (8) heads & Much More!